Governor Mary Beth’s first task was to recognize President Tom and wife Lynda with membership in the Rotary International Bequest Society for their inclusion of RI in their Estate plan. Remembering Rotary in your will can be a simple task that can provide great benefits through the work of the Rotary Foundation. 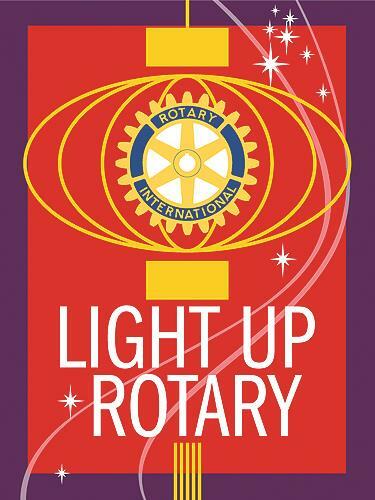 DG Mary Beth talked about the theme for this Rotary year- “Light Up Rotary” and the goals of RI. These included – Membership Growth, International Involvement, Support of the RI Foundation, Raising Rotary’s Public Image, Fellowship among Clubs and Fun. After the general meeting, she met with the RC officers and committee chairs to update us and encourage everyone to keep up the good work. We also celebrated that the story from Charter member Bill Isbister who, just 4 years ago had a very close call with heart issues but was recently told by his Doctor that it's now hitting on all 8 cylinders – to use an automobile metaphor. It should also be noted that Bill, through all the entire recovery, still maintained perfect attendance – now 31 years and counting! Congratulations Bill! Let’s keep that string going for years to come. Next Week our speaker will be former ERC member Larry D’Attilio and Jeff Brown speaking on “Third Wave Coffee - The New Trend and It's Impact on Vietnam's Farmers” And on the day of the ERC presentation, Brown and D'Attilio, working in Vietnam, will be some of the Milwaukee people featured in MPTV Ch 10’s new Documentary, A BRIDGE TO VIETNAM. Make sure to tune in!